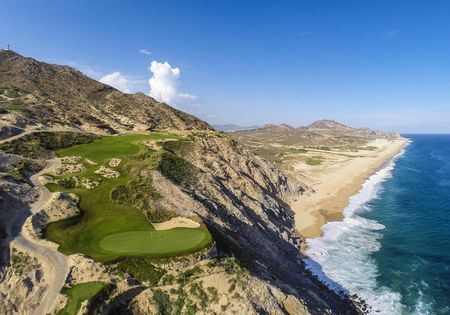 On one of the most pristine beaches anywhere along the Pacific Ocean, you’ll find one of the most spectacular golf courses and facilities anywhere — The Dunes Course at Diamante, complete with an awe-inspiring, 14-acre practice and performance center. Add to that our professional caddie service, resort-style clubhouse and complimentary course-side gourmet comfort stations, and you’ve got an unforgettable experience. 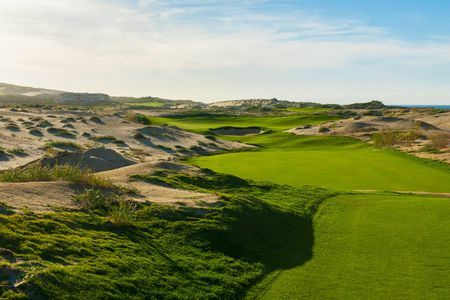 When Dunes Course designer Davis Love III first arrived on the Diamante site, he said, “It was like pulling up to St. Andrews.” Golf at Diamante does share some similarities with the classic links courses in Scotland and Ireland. But here, the weather is warmer. The sand is whiter. And the sea is bluer. The El Cardonal course is influenced by the old-style courses of Southern California that he grew up playing, Tiger’s vision is to create a course that brings back the need for strategy — with several options to navigate each hole. As you can imagine, the course will challenge expert players, but it will also provide options for those with higher handicaps as well. It will truly be accessible and fun for golfers of all skill levels. 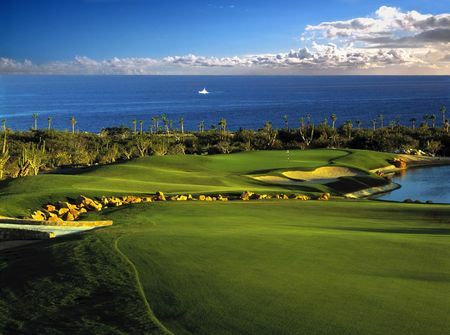 Cabo has become a tremendous golf destination for all. With countless amounts of championship golf courses, the decision on which to play has become a hard question to answer. 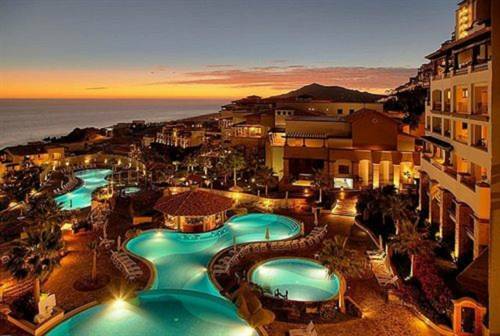 Diamante is a private resort where the elite around the world come to vacation. Its located on the pacific side of Cabo, giving it little protection from Pacific Ocean winds. Diamante has two courses with plans for a third. Tiger Woods recently designed a course on the property, but the premier course is the Dunes course which was designed by Davis Love III. As a guest, you can attend a time share presentation (with your wife/husband) and after completing the presentation you have the opportunity to play one of the courses. The Dunes course has been ranked within the top 50 courses in the world. The facilities are out of this world with an incredible practice area, some of the best golf carts you will ever ride in, and comfort stations timed perfectly during your round. Cabo golf courses are known for their wonderful comfort stations every 3 to 4 holes, where they serve drinks, tacos, and all kinds of snacks. 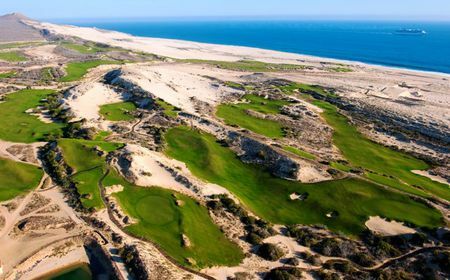 What makes Diamante so special are the massive sand dunes throughout the course that many of the holes are routed through. The course itself plays firm and long with many holes going against the harsh winds of the Pacific. Bunkers are placed creatively and the greens are challenging but playable. Unfortunately, in my opinion the Dunes course leaves more to be desired. As each hole comes and goes your anticipation for ocean-side holes intensifies. 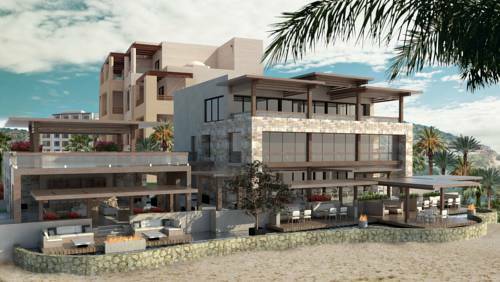 The property management at Diamante has prioritized the sale of ocean front property to future home buyers and hotel chains. After 16 holes of anticipation you finally end up at the ocean where two massive hotels are being built that reduce ocean views and the splendor of the back nine. I'm fully aware a course isn't great based on ocean holes but the Dunes course could have been so much better. I've heard after my round that holes had to be altered and recreated by Love to accommodate the vision of real estate. 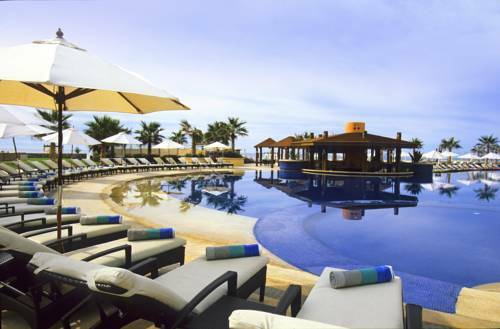 Overall, I would play again at Diamante and recommend it to anyone vacationing in the Cabo area. 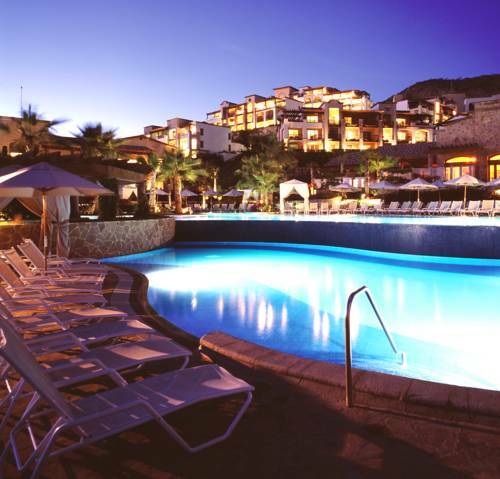 The resort is second to none in the area and is well worth a look. Incredible golf course! Just magic! Could not imagine a better day with close friends, that is what golf is all about - sharing and experiencing a great golf course.